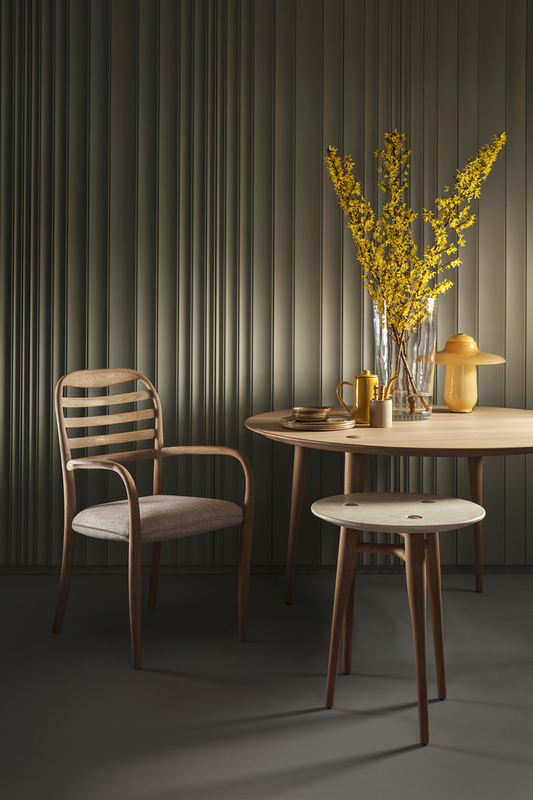 A dining chair crafted from solid wood with an upholstered steel framed seat. The seat is made from polyurethane foam and upholstered in multiple fabric options. The wood is finished with a matt laquer and is available in oak. The Bramber Dining chair is available at the Revised webshop and in selected stores. Please contact Revised for more information.